I decided on a book type cover, so the following shape was laser cut in leather. Plastic could be used, but carbon fibre is light and far stiffer. It is expensive, but long after the cover is no longer needed, I can cut out and reuse the carbon fibre sheet for some other purpose. 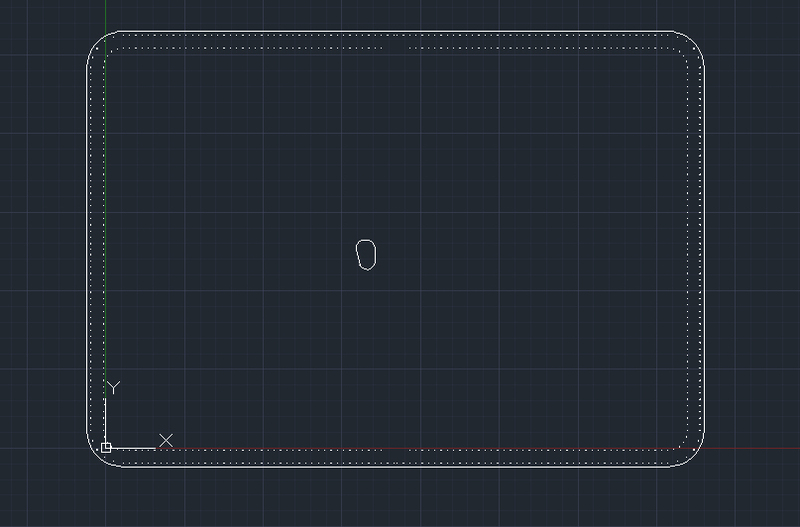 (I considered sticking thin solar cells on the inside too, but it felt like too much effort to make the 5v regulated supply, etc). 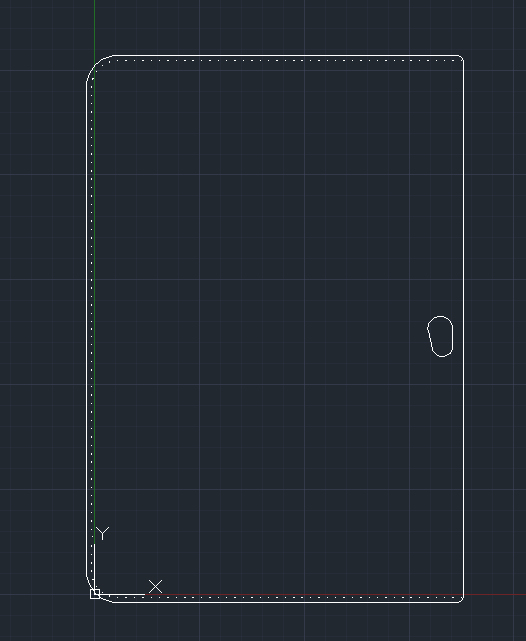 The bean-shape is only needed for one carbon fibre sheet (for the rear camera). Carbon fibre cannot be laser cut, so it was cut with scissors, and holes were drilled at a slow speed. (Slow speed drill). 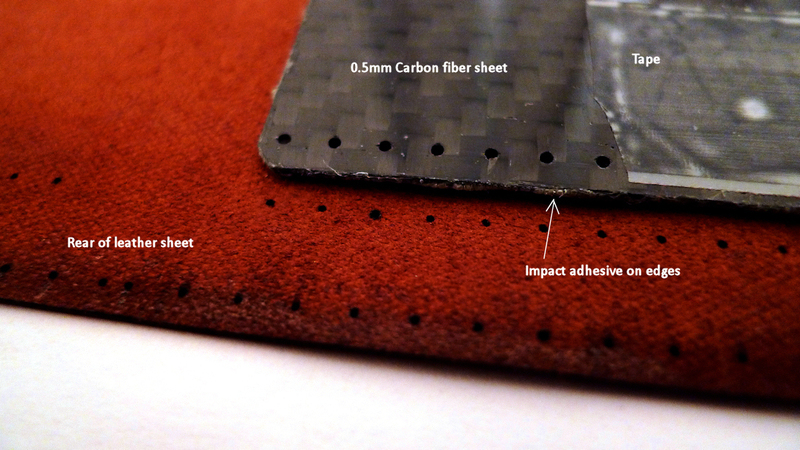 Carbon fibre thickness is 0.5mm (need dust mask, glasses and latex gloves when cutting/drilling this!). It was purchased from here. Anything thicker than 0.5mm cannot be cut with scissors. After it is cut, the edges are sealed with impact glue to prevent splintering. To drill, a paper template was stuck on it (or laser-cut a thin plastic template), and sticking tape to catch the dust, and then drilled on MDF board so that it doesn’t split as the drill bit exits. The drilled holes are 1mm diameter, suitable for the average needle. The picture here shows a few holes drilled. After about 80 holes, the (cheap) drill bit was blunt, so several bits were needed.